I have written about Mercury retrograding before and mentioned what sort of disasters are to be expected, especially in the USA, where Mercury retrograde is a a period in which you shouldn't buy, sign, travel, write or arrange anything if you don't want to be delayed, fooled or forced to make other arrangements soon. That was exactly when I decided to install OSX El Capitan on my Apple Mac. 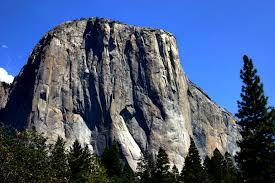 El Capitan is named after the mountain in Yosemite Park and you can see how steep those walls are:). I don't want to live in fear:), so I decided to put El Capitan on my Mac, disregarding the fact that Mercury is also inconjunct my Ascendant right now. I learnt my lesson well, believe it! First the Mac said that there was not enough space and so I deleted my foto material, a few programs and documents, just to find out that after removing all of the more than 4000 pictures there was still the same amount of KB left. And yes, I deleted the trash and 'recently removed' files. I also stressed because after all that fuss I thought to have removed an astrology program, too. Of course, I can't blame Mercury for this. Mars is opposite my Ascendant. That doesn't help to remain calm. The nasty thing is that retrograde inconjunctions come back (this one will hit me again in 2 weeks). Next weekend Mercury seemingly starts walking again. So if you have an angle or object between the 1st and 5th degree of Aries, Taurus, Cancer, Libra, Capricorn or Pisces, maybe you should wait with installing El Capitan. And all the rest! :), especially when you were born between 22 and 27th of April or February. Inconjuncts of Mercury are warnings for communications. Perhaps there is something wrong with THIS post, too:)!